Pineapples are all the rage this summer. You can find them everywhere - on clothes, wallpaper, books, jewellery... 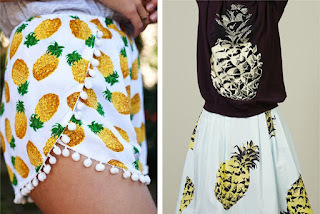 I think Watermelons will follow either this summer or next as the next fruity fashion. Stampin' Up! 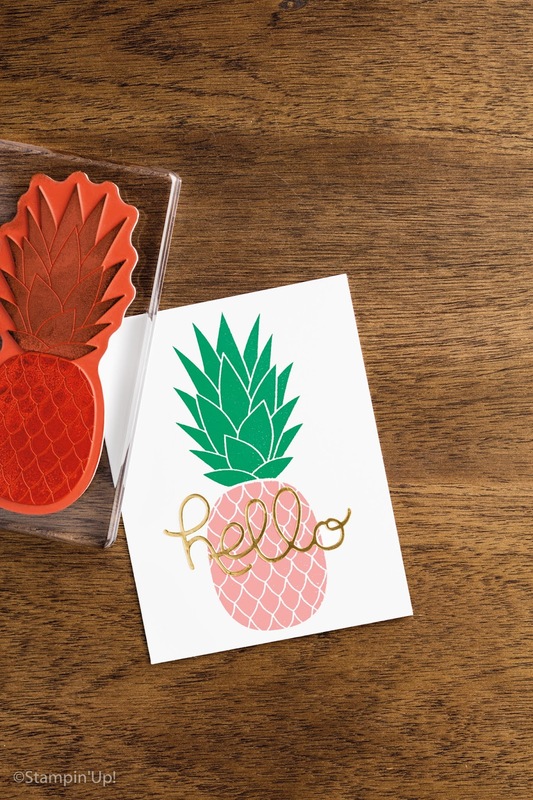 are bang on trend... they have pineapples in the Pop of Paradise stamp set and a large Pineapple Stamp. This stamp has been so popular...! You can order this through me using the highlighted links above, or press the SHOP NOW button at the top of the page.